Stud bolt fastener pack sold individually Use with BC201 versa track. Heavy duty triangle bracket only for double track or single runs for up to 4 1⁄2" doors. Triangle track bracket only for single run stud bolt. 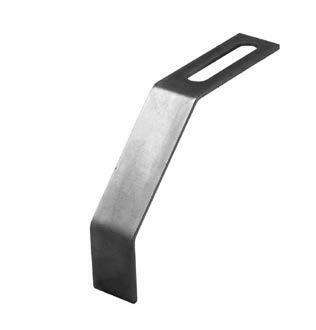 Triangle track bracket only for double track or single runs for up to 4 1⁄2" doors. Use with BC201 versa track. Cover bracket only. For use only with BC7-201 and BC8-201 where track cover is required.